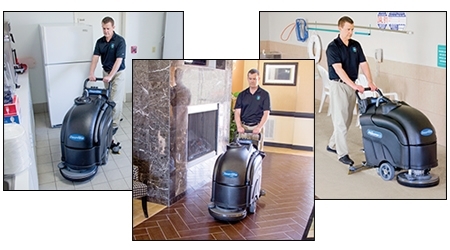 Simple controls, easy to use, and easy to transport, the Predator 20 provides excellent scrubbing results on a wide range of hard floor surfaces. 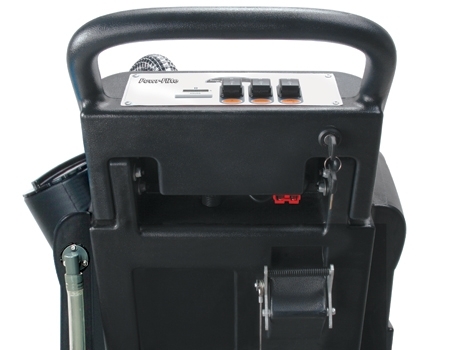 Designed for moderate sized interiors, the Predator 20 is ideal for use in schools, hotels, retail shops, restaurants, hospitals and other commercial and industrial applications. Low profile, ergonomic design provides easy maneuverability - allowing you to clean in areas larger scrubbers of a similar pad size just will not go. Key switch, motor/vacuum switches, battery guage, hour meter and brush/squeegee levers are all right in front of you - easily accessed without having to stop and move around the machine. 49" x 26" x 44"